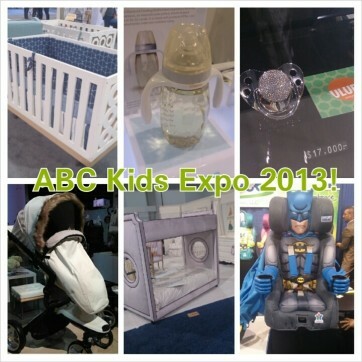 We made it to the ABC Kids Expo in Las Vegas this year and it was amazing! SO many great new product introductions in all categories from toys to feeding products to maternity wear to kids furniture…you name it, they had it! With 1 million square feet of trade show, we walked 10 miles of aisles to find the latest and greatest products for YOU! :) One of the first booths we stopped at was Kidsme. This company creates innovative product for mealtime. If you haven’t heard of their feeding products, you have to visit their website www.kidsmeusa.com to learn all about them. Such a great idea to get your baby to eat healthy, fresh foods. Preggers showed their new colors in maternity pantyhose and leggings. Expecting mama’s will surely look and feel great in these maternity compression legwear options. A new introduction for us was Smart Bottoms organic cloth diapers. They come in great colors and patterns, we are so happy to finally come across this amazing line! Something your child will 100% love are the super cute carseats from KidsEmbrace. I mean, how freakin cute are they!! Something for the cool daddies out there? Diaper Dude to the rescue! They now have an MLB Collection of diaper bags to add to their already hip, cool line of diaper bags for dads. I couldn’t help but stay awhile when I saw the grey acrylic crib by Nursery Works. It is absolutely gorgeous and perfect for a modern nursery. AFK Furniture is always a show stopper with their french-inspired kids furniture. 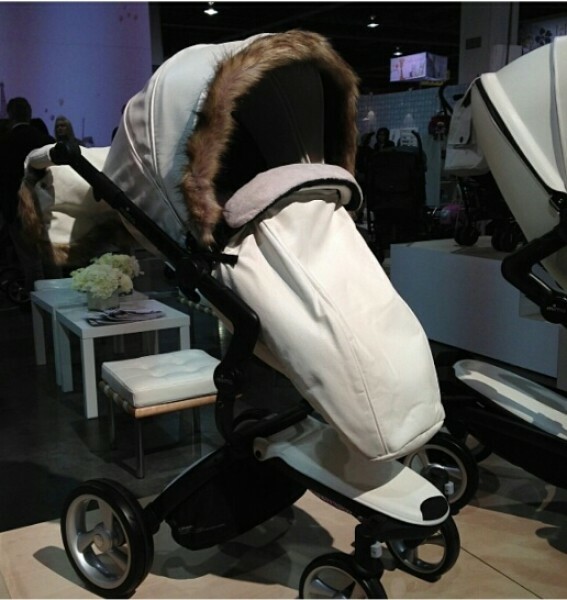 Another OMG product is the faux-leather and mink trimmed stroller cover!! A wintery chic stroller for sure! These are just a FEW of our amazing finds, so head over to our facebook page to see our album with over 40 photos from the show. Be the first to see these new product introductions!